We have just about recovered from this year’s Asda Social Enterprise Supplier Development Academy and it’s fair to say we had an absolute blast. We’ve compiled a collection of the best photos, tweets, messages and blogs to give you a flavour of the week – check out the Storify link for a full run down. This year’s event was bigger and better than ever, with 15 social enterprises from across Scotland, England, Wales and Northern Ireland taking part. We were incredibly impressed by the calibre and ambition of the cohort, selling everything from Fairtrade footballs to change-making coffee. Massive thanks must go to our partners across the 4 nations, Social Enterprise Scotland, Wales Council for Voluntary Action and Social Investment Cymru, Social Enterprise Northern Ireland and Social Enterprise UK. 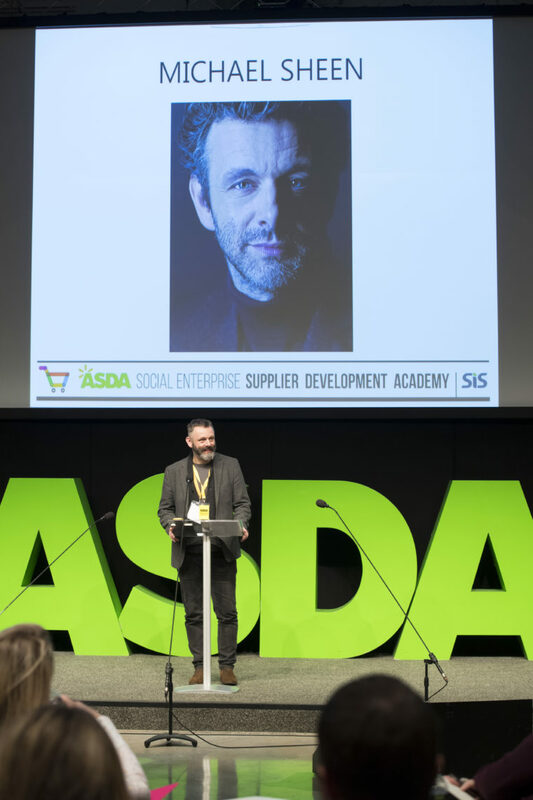 A particular highlight of the event was definitely Michael Sheen – SEUK ambassador – joining us to share in his journey and learn more about the different social enterprises on the Academy. The greater goal of the academy is to raise awareness of buying social to mainstream consumers. Michael Sheen’s endorsement has therefore been invaluable in raising the profile of social enterprises in the UK as credible suppliers and accessible to everyone. For most organisations the Academy is really the beginning of their journey, some will go on to scale up to sell to major retailers, some will increase their supply to independent retailers or scale up their online offering. Whatever the future holds for these organisations we look forward to continuing to support and invest in them all. Don’t just take our word for it though, check out these blogs from The Goodwash Company and Itty Bitty Book Co.
NEXT NEWS ITEM Is social investment working in Scotland?